Deccan Express Packers and Movers Chennai is a leading packing and moving service providers in India. With head office at Delhi and many branches in different cities of India. Moving a home small or big can be a daunting task, it is stressful, but with the right preparation and care you can alleviate some of the stress. Now a day’s Deccan Express Packers and Movers is here to provide complete trouble free solutions within India. The complete relocation process takes lots of steps from pre move survey of goods to Packing, Loading, Transportation, Custom Clearance, Insurance, Local Authority Permissions, Dues Clearance, Unloading, Unpacking & rearranging goods to the new destination. Deccan Express Packers and Movers do all the paper works like making a list of articles, goods placement list (Labeling on the boxes), and insurance of goods from Insurance Companies. Today, experienced and reliable Deccan Express Packers and Movers offer their expert services to perform such hectic tasks. 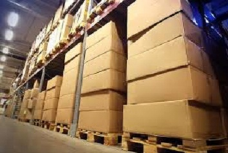 When it comes to moving the treasured belongings, you’ll surely be looking into aspects like goods safety, moving costs and communication facilities of the relocating company, strong network of the relocating company, continuous information flow about movement of your belongings etc. Knowing what to expect from a professional mover will help you better prepare for your upcoming relocation. Deccan Express Packers and Movers can eliminate much of the stress felt while planning your move by customizing your moving experience so that it is exactly what you want it to be. Deccan Express Packers and Movers ensure attention to all household shifting details whether big or small helping you to settle down quickly and peacefully in a new location. Household shifting services comprise of an entire package of services, right from the initial consultancy to the final settling in at the new destination. Deccan Express Packers and Movers understand needs and requirements of their clients and provide personalized shifting and moving of your valuable household goods containing furniture, glass items, paintings, electronic equipments, television, microwave oven, soft items like glassware & dishes and sensitive electronic items with extra precautions in packing to protect them. They acquire a sound infrastructure backed by latest technology which enables them to provide most innovative solutions to client’s requirements. 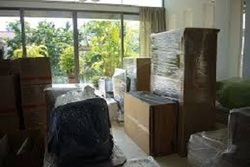 Deccan Express Packers and Movers are well connected and located to ensure speedy services. We acquire a fleet of vehicles of varied sizes to cater all categories of cargo. Also, Deccan Express Packers and Movers acquire most experienced, committed and professional manpower. Having their base in a variety of cities such as Faridabad, Pune, Chennai, Mumbai, Delhi, Bangalore, Amritsar, Gurgaon, and Kota, they help their clients in all types of shifting whether local, inter-state, or car shifting. Their coordination team takes care of all household moving aspects from start to finish. Since their inception in 2002, with their high customer satisfaction levels, they have become one of the India’s leading fleet owners, including over 400 company owned trucks and an additional 500 trucks. 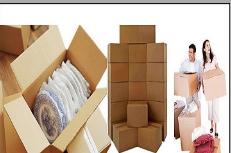 Packing and Unpacking services are offered by Deccan Express Packers and Movers Chennai . We are having expertise in this business and we will pick up & deliver your goods at your door step including packing/wrapping and unpacking of your valuable goods. Deccan Express Packers and Movers provide the service properly, using only high-quality packing materials and boxes as the integrity of your everyday items and special belongings is crucial when moving. So, trust the professional team of Deccan Express Movers and Packers in Chennai and you won’t be disappointed. We offer a lot of options in order to meet the different needs of our customers. We are expert in packaging various items carefully.Everyone knows that packing and unpacking items for relocation is probably the least favorite part of any move. Yet it's probably the most important part of a move. Not only do fragile and delicate items like glassware and dishes have to be specially packed to prevent damage during transit, boxes and containers have to be filled as efficiently as possible to keep moving and storage costs to a minimum.